Mickey Mouse is always a kids favorite. 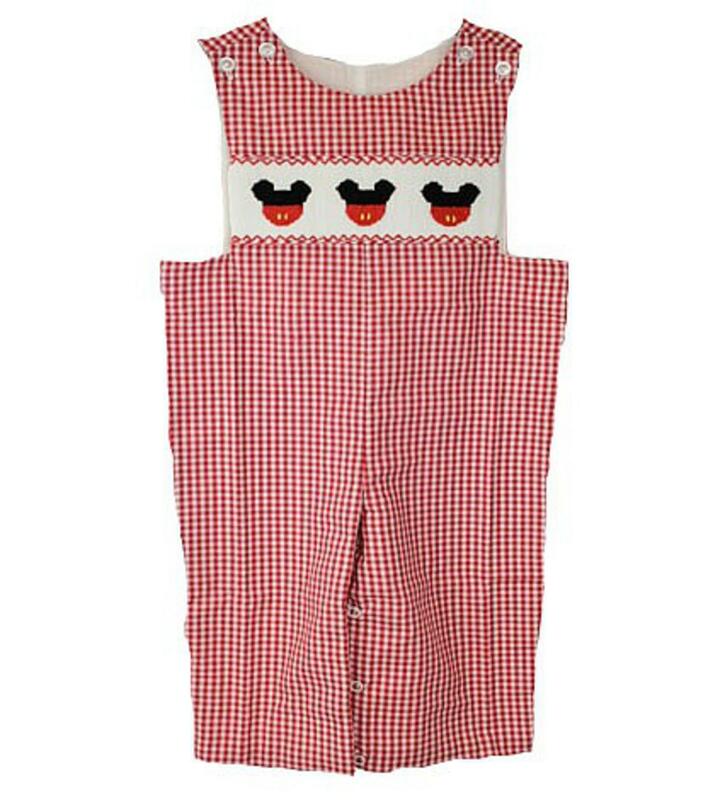 The red and white checked longall is handsmocked at the chest with three mouse ears. There is two buttons on each shoulder to get over a childs head easily and buttons on the inside of the leg to change a diaper. This soft romper is 65% polyester and 35% cotton.